Calcium is one of the most important thing in our body and not only helps in keeping our bones strong but has a role in various other body functions including muscles and heart too! Why is calcium important for our body? Calcium is important for children with growing bodies and bones as well as for adults to prevent the weakening of the body! Although it can’t be accurately stated that how much calcium is recommended, but having a healthy diet rich in calcium is probably enough to keep the mineral supply sufficient in the body. 99% of body calcium is found in bones and teeth and is used for structural support. Is milk the only source of calcium? 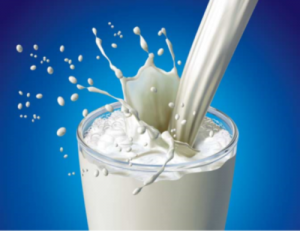 No milk and other dairy products are not the only source of calcium. Calcium is no doubt found in milk and dairy products, but the amount of calcium as compared to the caloric value of the non dairy foods makes them a better choice along with many other reasons. No, milk isn’t the best source. In fact the commonly available pasteurized and packaged milk of all popular companies have the negative effect on body and result in calcium loss from the bones, making them weak. Nutrients supplements are never a substitute for a natural source. Supplements has their own pros and cons and although some can be helpful, some others can again be dangerous by affecting any other system of the body. The commercialized and controlled diet we have available these days is one of the main reason for the diseases all around the world. The processed and fortified foods are damaging our bodies and weakening our generations. It’s necessary to understand the threat we’re facing as the multimillionaire companies would never let their consumers know that their product is harmful, like nestle and others.